My mother used to make a dressing that i still love– simple simple– lemon juice, olive oil, salt, pepper and a pinch of sugar. At Dana C’s house– we used to have olive oil, balsamic and parmesan. Salad dressing changes the flavor of the whole salad. So in additon to the ol’favorites– I’ve been trying out some new ones lately. What I love is how easy these are to make – just throw contents in jar and shake (except carrot ginger and caesar which require blenders). Super fast & fresh. I have long been major fan of ginger dressings– like you find at japanese restaurants. I found a bottled brand that i like– but after the earthquake, it was briefly discontinued. Though it came back- once you start making your own- it is hard to go back to buying. a Real Simple Recipe. Reed sent me this recipe. Place the carrots, shallot, ginger, miso, vinegar, and sesame oil in a blender. [i used my immersion blender and the smoothie/measuring cup it came with.] Blend, scraping down the sides as necessary, until very finely chopped, about 1 minute. Add the canola oil and blend until nearly smooth, about 30 seconds. If necessary, thin the dressing with up to 2 tablespoons water. 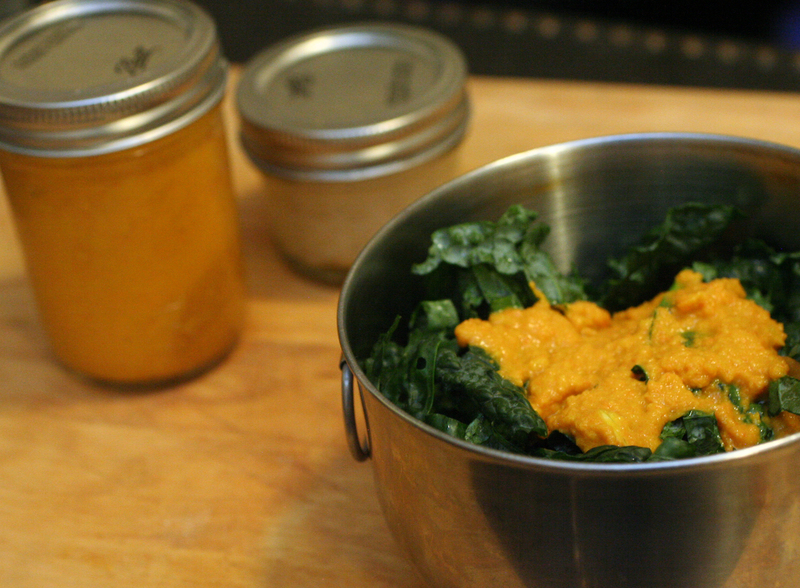 The dressing will keep in the refrigerator for up to 3 days. Tastes great on raw kale! combine all in a small bowl, jar or blender. and salt and pepper.